In a public school in Brooklyn, Evelyn Blakey performs, teaches about jazz and tells her story to an auditorium filled with enthusiastic 7 year-old students. 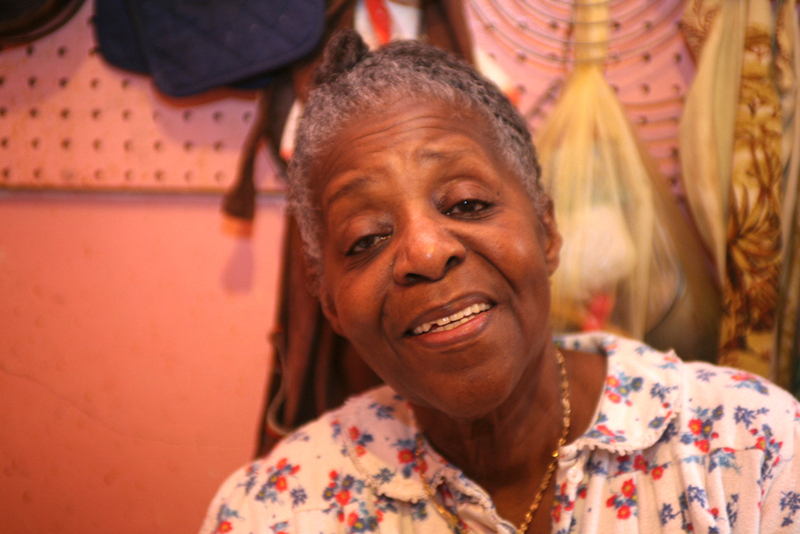 We were filming Evelyn as one of the featured musicians for the film The Music Never Dies. Unknowingly, this was to be her last concert: Evelyn suddenly passed away on August 16, 2007. Art Blakey had 5 wives (all shades and races) and 10 children. Evelyn is the oldest child. Art died at 71 of the same cancer that Evelyn is presently fighting. She is 69 . Their family is from Pittsburgh. When they moved to New York, Art and his clan settled in Harlem. 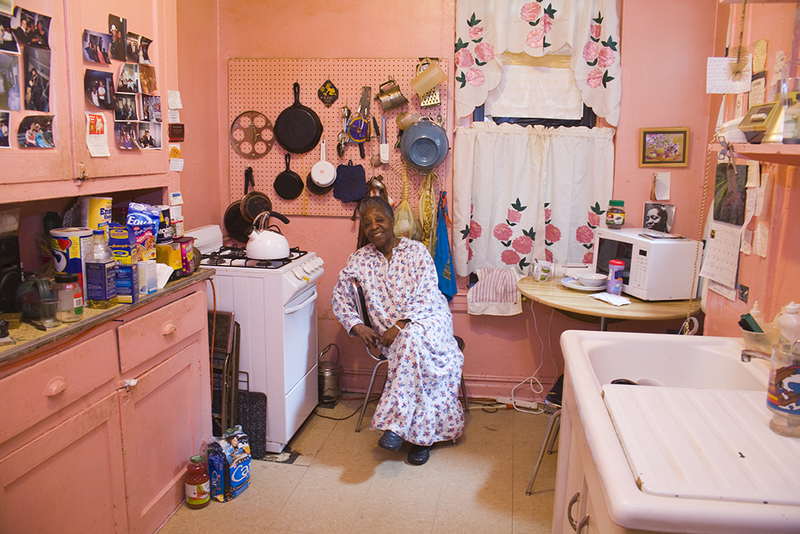 She's lived in the same rent-controlled apartment in the East Village nearly 40 years. 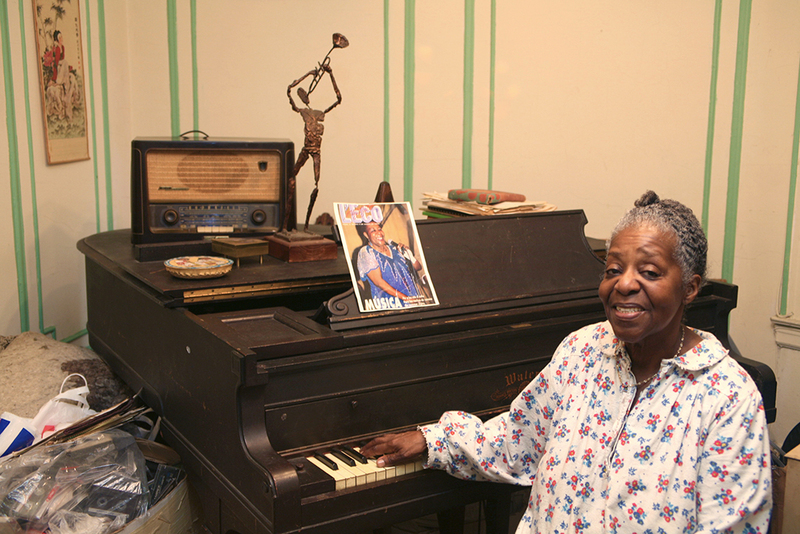 Her house has piles of stuff everywhere, junk mixed with old photos, books, memorabilia — good atmosphere. She was in charge of her famous father's estate until the other children ganged up on her and so she quit, which “allowed me to get back to my music”. She gave me her recent self-published CD entitled —Gotta Pay The Band”. Evelyn tells the story of how Ken Burns and PBS “screwed” the estates of all those great musicians for Burns' 10-volume CD compilation “The History of Jazz”. They were paid $1000 each to sell all the films and photos they had — just another illustration of how these musicians were robbed by the media and music industry. Evelyn goes to her family church in Brooklyn. “I'm the star there”, she says with a wink. Lots of singing. They're used to her being filmed there — we should probably film her there too. Next month there will be a big bash/memorial for Art in Pittsburgh, with musicians from all over the country, and Evelyn is thinking about how we can go and film it. Many important jazz greats are from Pittsburgh, including Lena Horne, Billy Eckstein, Mary Lou Williams and others. Start the shoot with Evelyn “sitting” for me for a photo portrait (in her Dad's armchair), small talk, ambiance of her bedroom, dominated by her new “ hospital bed”, Art's small black and white TV from the 50's is on in the background. Main interview in the pink kitchen. We can get more light from a side window or bounce a 1000w quartz from the ceiling. Love wide-angle here when we can get it — on a tripod to let the ambiance soak in (we can go close for cutaways)— slow and steady to contrast with the intense movement and closeness we filmed her in concert. Everywhere: hand-held slow pans over her mementos, gliding over stuff over which we can layer her music and words. May be useful to film some of her archives, but only if she has a special story about something. This is not a film of archives. At the piano, we may ask her to play a favorite piece, or the first song she learned… And since I want her to be my grandma (young as she is), I will ask her to sing a lullaby. Charlie Parker Place is one block away (6th st & Ave B) so if she's up for a walk, we can get some exteriors with her there – does she have any reminisces about the music scene in the East Village?… We could also drive her around a bit.